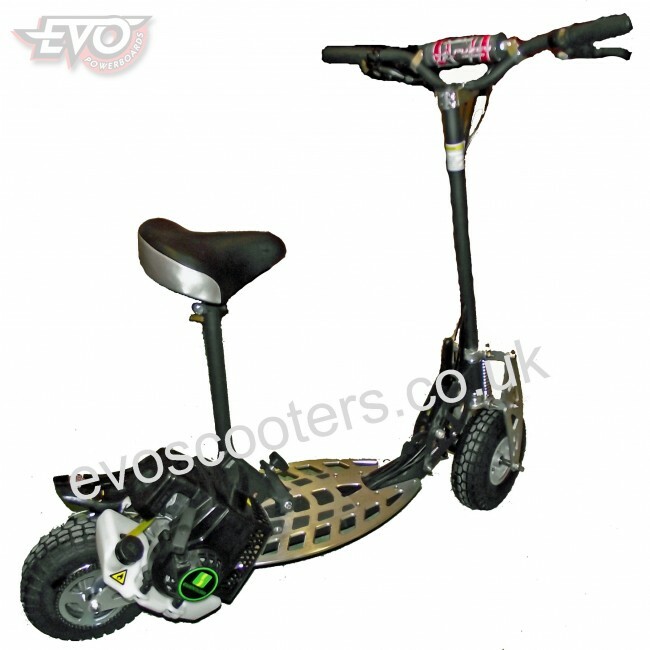 Just take a look at this eye-catching 71cc 2-speed EVO Powerboard 2X with design and performance that will set your heart racing! 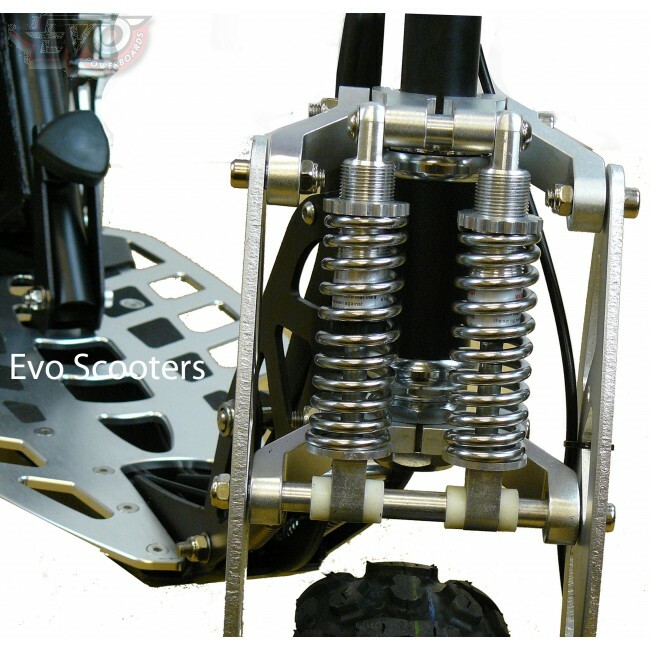 Be the envy of your friends and have hours of fun. 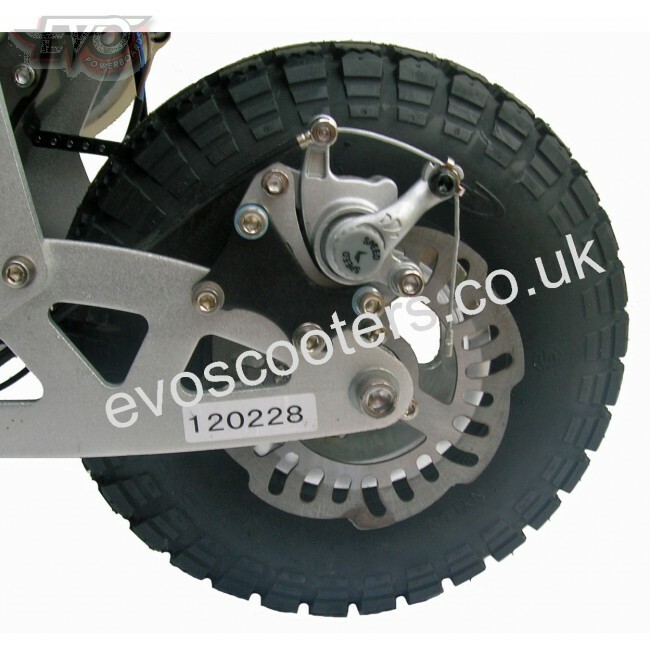 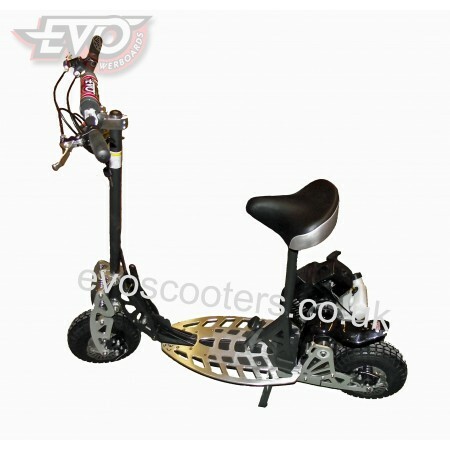 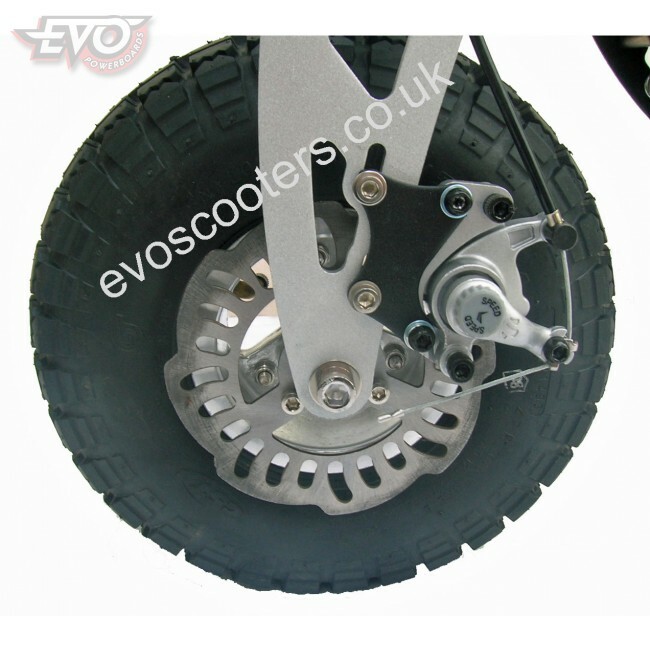 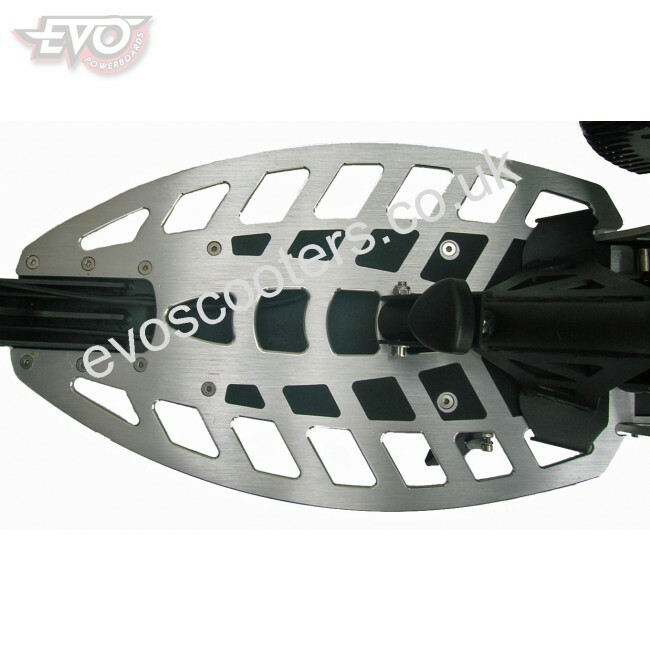 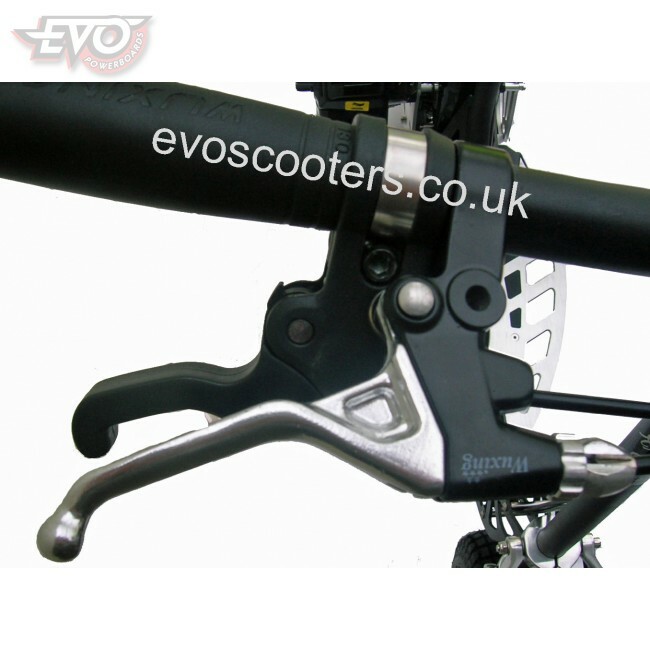 This genuine EVO brand petrol scooter comes with a very powerful genuine 71cc engine and two-speed drive, and is finished in edgy black with perforated alloy deck and choice of 10” or 12” all-terrain tyres. 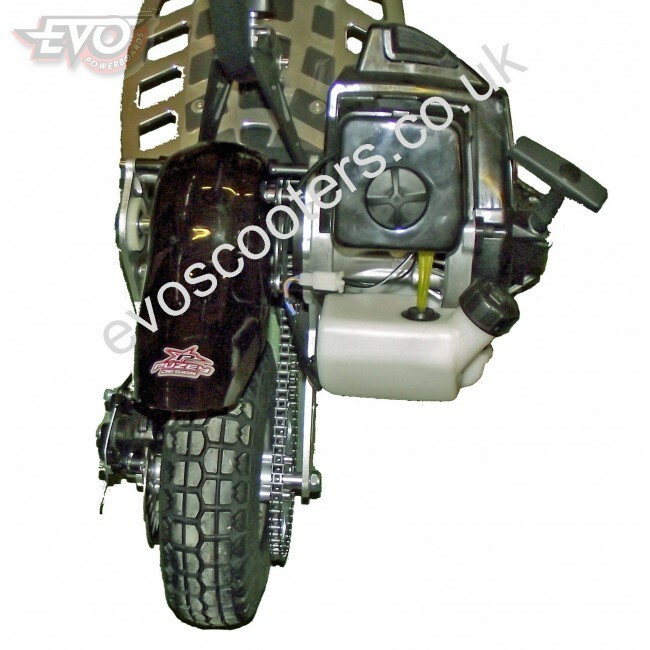 With its snazzy styling, cool forks and alloy wheels, it really is a head turner. 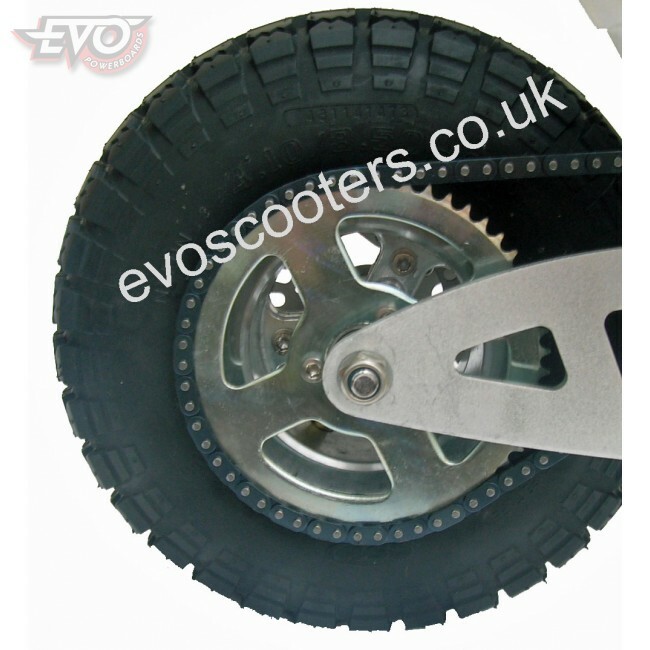 It's also no slacker when it comes to performance either, being capable of up to 65kmh and a range of up to 32km, depending on load and terrain. 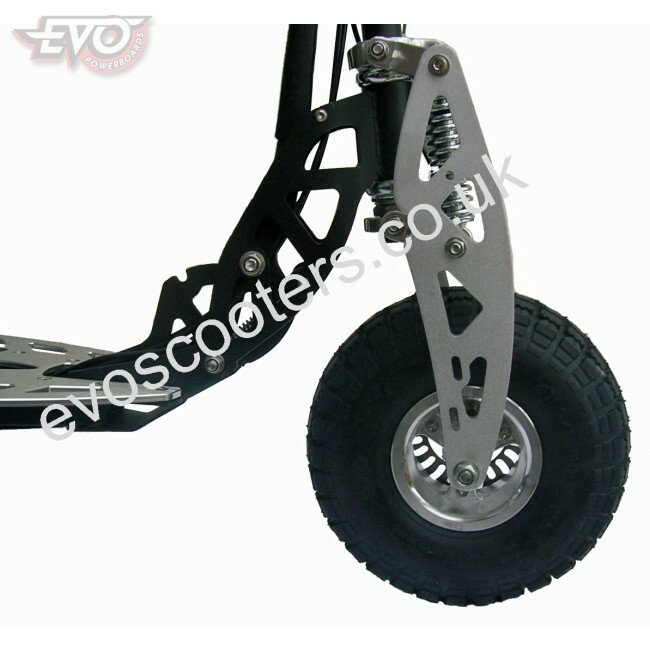 The high-specification of this top-of-the range scooter is complemented by front and rear disc brakes, pneumatic all-terrain tyres and twin front suspension. The seat is adjustable and the scooter easily folds for ease of transport and storage.